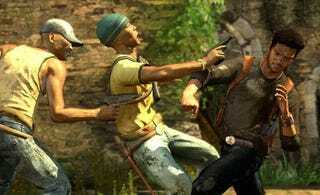 Hothead director David O. Russell will not be directing any Uncharted movie, the Los Angeles Times reports, and the unsuccessful negotiations to bring him to the project have pretty much shot any chance the movie has of releasing in 2011. Russell's proclivity for some grade-A blowups in the past added the potential for comedy, if not stability, to this project. That didn't scare off Sony or the producers handling "Uncharted: Drake's Fortune." But unable to come to an agreement, both sides have walked away. I hope it was at least civil. That's apparently sent the whole thing back to the drawing board, reports the Times. Sony may look for stars to come aboard before finding another director. The Times says that finishes off any outside hope of this film coming to the screen, even on a fast track, in 2011.